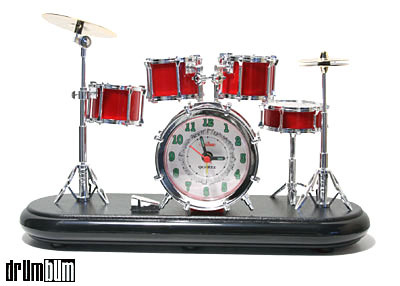 Our C-04 drumset clock was one of the most popular items we carried in the 20 years we’ve been in business. It’s since been discontinued from the manufacture. Rumor has it that the plant burned down in China. Why they never reproduced this product for such a top-selling product is beyond us. Maybe they felt it had run its course. This drumset clock was one of those products where everyone would see it and say, “Yea, I have that!” or “My grandmother bought me one of those back in 2003”. Drum Bum carried this notorious drum clock from 1999 until around 2014.